Halle is one of the few bigger German cities, which were not completely destroyed in World War II. This advantage turned out to be a disadvantage during the GDR, because no money was invested to reconstruct buildings. After the German reunion in 1990 the reconstruction started. Today you can find in almost all streets at least one building worth to take a photo of. In this category I am going to present a small collection of impressive buildings. I hope to give you an impression of the overall architecture in the city. 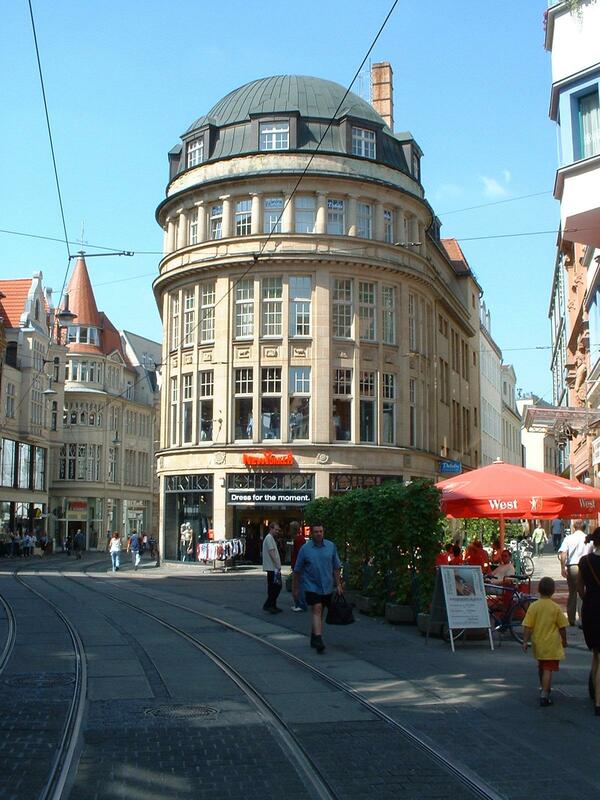 On this picture you can see a store in the Große Ulrichstreet. To the right is the theatre "neues theater". This theatre is the entry to the so called theatre island.